It’s time for a hint! The State Library of Victoria has a great café (Mr Tulk’s), interesting exhibitions, very comfortable chairs, free wireless and an excellent selection of books, journals, magazines and newspapers. Anyone can join (although you don’t need to join to use the internet or browse their open access collections) and it’s free. Free! 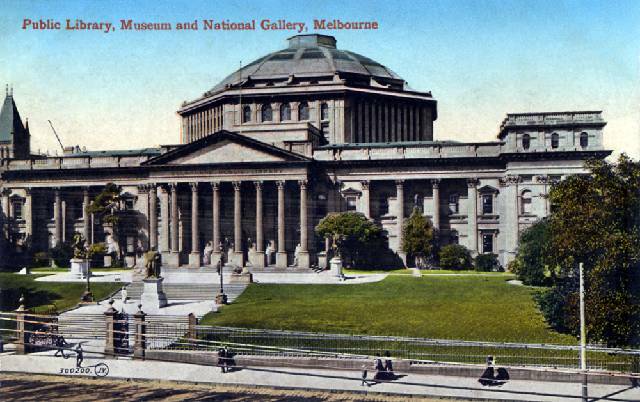 The hint is very straightforward: if you’re in Melbourne, visit the State Library. It might be useful to install a 'like' button on your blog. I like your hint, and very much like the sound of the state library of victoria.